Video: Rare TV Pilot with Steve “Hercules” Reeves! It’s no surprise this didn’t go any farther. The dialog is substandard, and the acting worse. But Reeves makes an impression. And it’s an interesting curio. Neither Wikipedia nor imdb makes any mention of this production in Reeves’ credits. But if their other credits are correct this would be his first onscreen appearance. Video: Michael Bay and James Cameron Discuss TRANSFORMERS: DARK OF THE MOON! 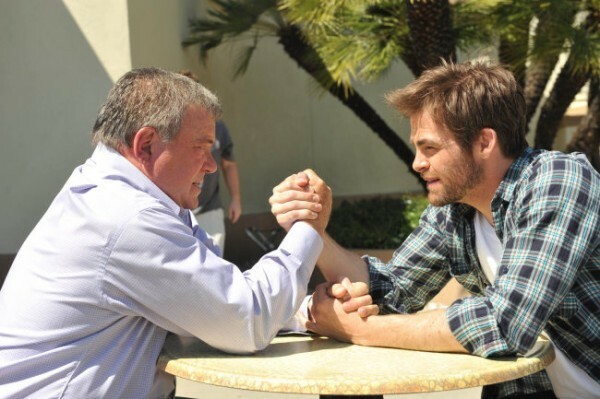 More 3D evangelism from two big budget filmmakers. We’re not 3D bashers. But Cameron can go a bit too far at times. Photo: Crusader Cross Crop Circle! It has a resemblance to a Cross Clechee with arms spreading out gradually from the centre. This cross denotes knowledge, guardianship, and dominion … Similar to the Cross Toulouse, it is assumed that the bearer of this cross was a crusader from the area of Toulouse. The Cross Clechee is also called the “key cross”, and as Ms. Pringle suggests, it is similar to the Cross Toulouse. And both the Cross Clechee and the Cross Toulouse were used exclusively by crusaders from Toulouse. 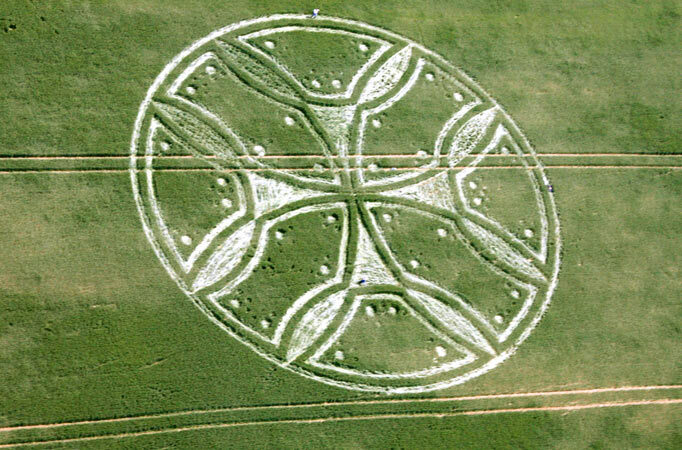 Why a crop circle would resemble a Toulousean Crusader cross is unclear. Something tells us we have to pull out all our “Da Vinci Code” research again. And, frankly, we’re kinda sick about reading about the Knights Templar. 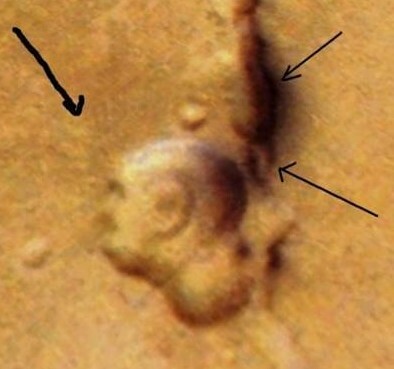 Photo: New Face on Mars! Gotta love that! And for more such witticisms why don’t you follow Inside Niagara here. 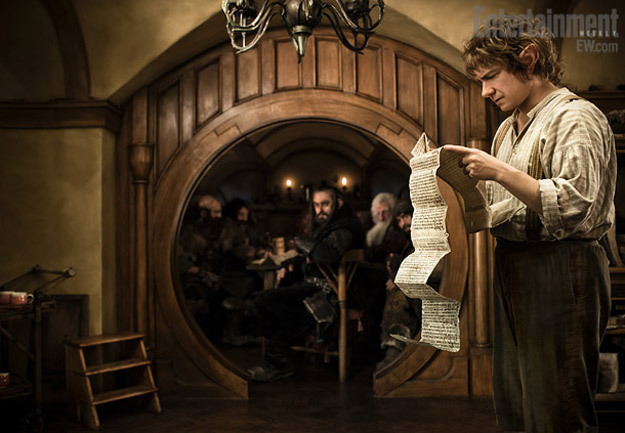 Photos: First Look at Peter Jackson’s THE HOBBIT! He fits the ears, and he’s got some very nice feet … I think he’s got the biggest hobbit feet we’ve had so far. They’re a little bit hard to walk in, but he’s managed to figure out the perfect hobbit gait. And speaking of feats, Ian McKellan is doing one of the hardest feats in the movie business: Playing younger. See how he fares after the jump. These trailers are slowly winning us over. Especially this latest international one. Of course, as massive fans of the Planet of the Apes franchise, it wasn’t the hardest thing to do.